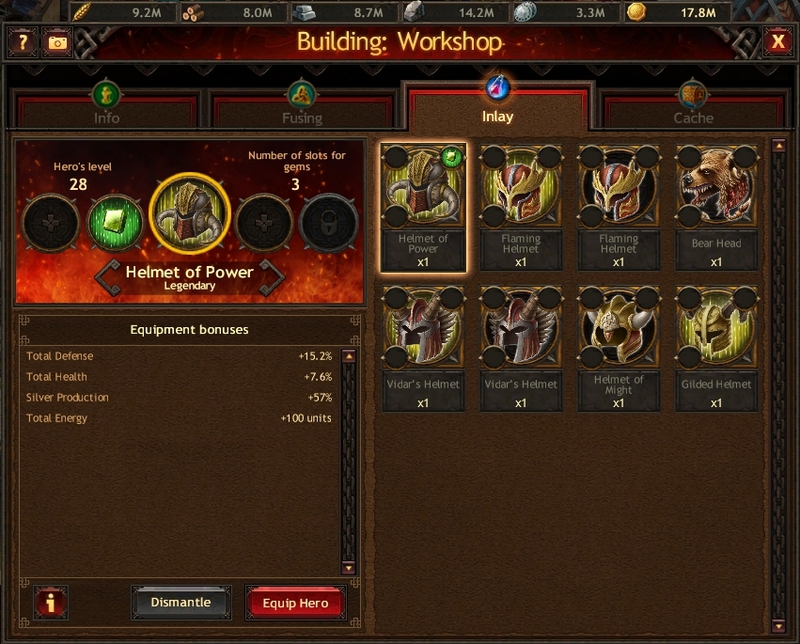 In the Inlay tab in the Workshop you can inlay or remove gems from your equipment. The higher the equipment’s quality, the more slots for gems it has. You cannot inlay several gems of the same type into a piece of equipment. For example, you cannot inlay two Opals into a piece of equipment. The process of inlaying gems is carried out instantly.